I am an avid reader, and from time to time I add books to my recommended resources page which I believe will help parents, coaches and adults involved in youth sports. I just finished reading The Gold Mine Effect by Rasmus Ankersen, and I will be adding it to my list. While this book consists of a lot of material that is similar to Dan Coyle’s The Talent Code, or Malcolm Gladwell’s Outliers, it brings recent research into the narrative of cracking the code of high-performance. In the book, Ankersen discusses the secrets he learned by spending six months in various talent gold mines, and immersing himself in the training. The six gold mines he studies are Brazilian soccer, Ethiopian and Kenyan running, South Korean golf, Russian tennis, and Jamaican sprinting. He compiles eight key factors that these gold mines provide which many less successful athletic environments do not. I could write many articles on this thought provoking and highly informative book, and perhaps I will in the future. 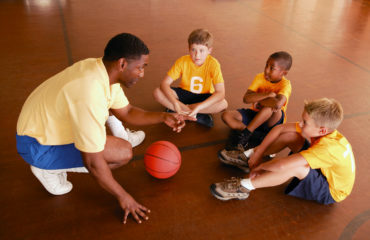 For today, lets talk about sports parenting. I found Ankersen’s take on the role of parents in these gold mines well worth the read. Instead of advocating for parents to back off, Ankersen found that the most successful athletes within these gold mines had parents who were highly invested, and took an active role in their child’s development. 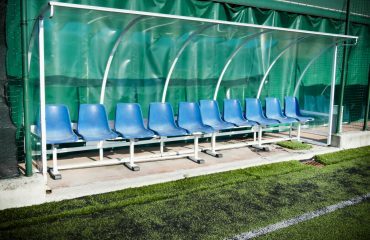 They sought feedback, asked for extra coaching, and oversaw training outside of organized practices. In fact, in the case of Russian tennis players and South Korean golfers, many parents actually staked their entire family future on an investment in their young athlete’s sporting success. Within the gold mines studied by Ankersen, a hands off parenting style rarely, if ever, yielded elite performance. I must admit that many times when reading this I was very conflicted. On one hand, after twenty years of coaching I know how crucial it is to have adults who push their kids, who make them uncomfortable when they want to slack off, ask them to fulfill their commitments, and remind them of their responsibilities. I think this is a crucial role that parents and coaches must play for all athletes. I think that athletes learn a lot from making a great commitment, lessons that extend far beyond the athletic arena, and many young athletes do not learn these because they are allowed to quit when the going gets a bit tough. I hope many of you will take a look at The Gold Mine Effect. There is a ton to be learned from these talent gold mines, and I know it made me think deeply about my coaching, and parenting style. I hope it will have a similar effect upon you. Please share your comments and feedback, and I would love to hear other takes on this book. Click on the image below to go to Amazon.